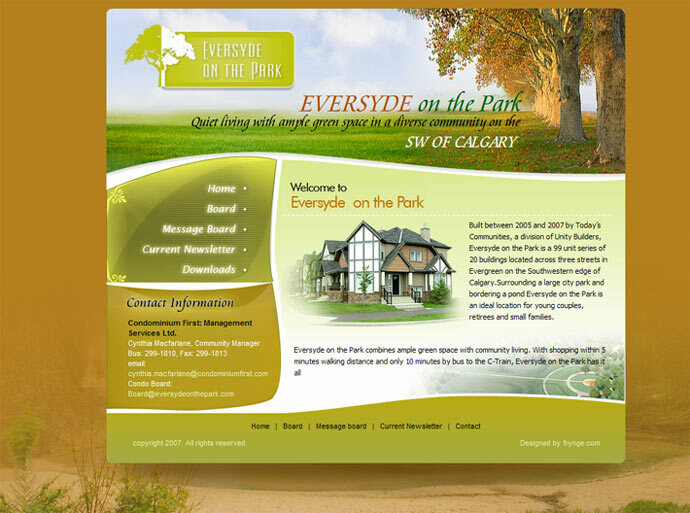 This is the final design for Everysyde on the Park, a condominium board web site in Calgary Alberta. We designed the site for a condo board which had a bulletin board, and about 5 pages. The site also came with logo design and a flash animated banner design. A flash banner is a small animation on the top of your website, that relay's the concepts and ideas of your website, to your client, without distracting them from the other material on the website. We offer 3 revisions on the flash animated banner design. Starting off with logo design, The Eversyde on the Park web site was given 3 concepts. On original contracts, we give 3 concepts with 3 revisions to the design. If a client likes a concept, we can revise this idea, or we can merge any one of the concepts together, or start again. This is how our process works and why we do so many cool websites! The client then decided on one of the versions and we did color changes to fit the clients needs and their design. This was covered under the revisions (changes) they ordered. Its been our experience that most clients do not go further than the 3 revisions as they do not need them, and we can get what they want under that many revisions. However, if you feel you need more, its really easy to order more concepts, or more revisions! This process is fairly easy and can be done through email, or over the phone. We have stream lined our process, and if the client believes they will have more changes or wants more options, we offer higher amounts of revisions and concepts. 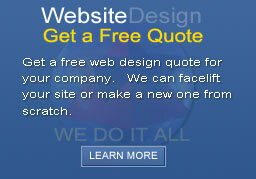 If you are interested in getting a website quoted, please request a quote today! If you would like to see exactly how much your website design project will cost, feel free to request a no obligation, web design quote. We have staff waiting on hand to answer all your questions and to give you a comprehensive website design quote immediately. Or feel free to look around our portfolio, or check out our flash animation portfolio. OR you can check out the rest of our web design portolfio, or flash portfolio, to see more of our work!